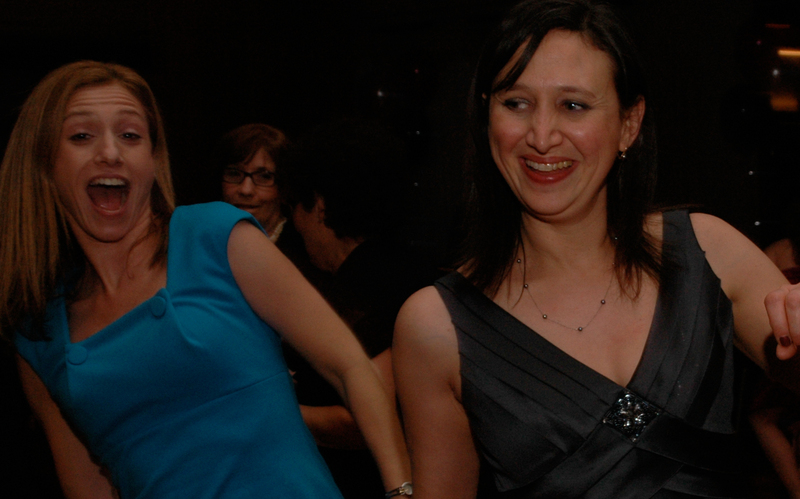 we haven't changed in 20 years, we're still dancing! The title of this post is somewhat inaccurate. Because Rochester is not the country, it is a city. But it is not New York City. And calling this post “Former City Mouse living in Small City visits Big City Mouse,” just doesn’t have the same ring to it. Whenever I go back “home” to the New York Metro area, I make my best effort to try to break away from both sides of the family to see at least one friend from my past life. This is not easy. There is first the six to seven-hour drive back to New York, crammed with kids and DVDs and suitcases, snacks and backpacks. Then the juggling of arrangements with two families. Attempting to see friends who are flung all over the Metro area further complicates the logistics. Sometimes, when I come in, I don’t bother to get in touch with old friends. It’s not that I don’t want to see people, it is just a recipe for disappointment. But in the end, spending time with old friends is what my soul needs most. Even if the visit lasts no more than an hour or two. So there I was this Passover, rushing out the door of my in-law’s house to catch a Long Island Railroad train meet a friend for lunch in the city. Back before I was Transpantednorth, public transportation was a way of life. Now, we go most places by car and the only public transportation my kids know is the school bus. What great material public transportation provides for the writer: people watching, eavesdropping. Time to think. Even on this trip, I had a great conversation with an older, retired CUNY professor about a Wall Street Journal article that discussed plans to turn the area around the Flatrion Building on 23rd St. into the country’s next high-tech “Silicon Alley.” That conversation led into a talk about the architect Frank Gehry with the professor and a mom sitting next to him who was taking her kids into the city to see The Adams Family on Broadway. Sitting on a train affords you the opportunity to strike up such conversations with strangers. Would the same topics come up in the produce aisle at Wegmans? Probably not. And after the LIRR, it was onto the NYC Subway. Ah, the subway! To this day, I always have a Metro Card somewhere in my wallet, though I am nowhere within commuting distance to even 242nd Street, the northernmost subway station. And, if I did still commute by subway, I am sure it would get old very fast. I now only ride a few times a year and it sends me reeling in nostalgia. Even the dank smell of the subway air, combined with the sounds of a musician playing a steel drum for a few coins or bills right there on the platform, makes me want to jump and scream for joy “Hey New York! I’m HOME!” And, if I know most New Yorkers, my outburst would barely bat a glance of attention. A true New Yorker rarely looks up from his newspaper — or now, his smartphone. Nearly two hours later, I finally arrived at my friend’s apartment, the friend who had after so many years working and struggling had finally arrived as a true Upper West Side Manhattanite. She lives in a beautiful doorman apartment with her new husband and their blended family. My college friend, the one who got nasty looks from our professor because she could not stop turning around to talk to me in class, the one who I helped kill a cockroach the size of a Volkswagen Beetle with a bottle of hairspray in her first Manhattan studio, now has a corner living room with a wrap-around curtain of glass that offers views of Broadway, Lincoln Center and a front row seat to the Macy’s Thanksgiving Day Parade. I am so proud. Old friends like this can go for months at a time without speaking, but can pick up right where they left off. The last time I saw city mouse was December 2009 at my daughter’s Bat Mitzvah. The time before that was the summer before at her second wedding. Needless to say, we didn’t have much time at either of these occasions to catch up. But we sure did dance! So this time? We sat in at her table that overlooked upper Broadway, drank some red wine from Spain and ate – Matzah Lasagna. Okay, the last part did not sound all that glamorous so what else could we eat? We talked. We talked about work and not working, kids who had crushes on Justin Beiber and kids who melted their $300 transition eyeglasses (more on that in another post). Before I knew it, it was time to catch the train back to Long Island. So, she walked me back to the 72nd station. On the way, we strolled in her Upper West Side neighborhood, a neighborhood that could have been mine, maybe with a similar career track, if I would have been her roomate all those years ago instead of following my heart out to California. We walked through the Lincoln Center Plaza where she proudly pointed out the new patch of grass. This may be very exciting to city dwellers, but us country mice get to play in grass whenever we want! We passed her old apartment building on W72nd street and also saw her very first apartment building, the one with the cockroach, the one I almost moved into almost 20 years earlier. And on the train ride back to suburbia, staring at the stillframes the train makes of unsuspecting children playing in yards or workers unloading trucks onto loading docks, I wondered what life could have been like if I lived it as a Big City Mouse. thank you for your friendship article!